Fontana - Service Areas - Services - Allied Commercial Real Estate, Inc.
Fontana's current economy is driven largely by industrial uses, particularly trucking-based industries. The city is home to several truck dealerships, and other industrial equipment sales centers, and, like its neighbors Ontario and Rancho Cucamonga, many product distribution centers for such companies as Toyota, Target, Sears, Mercedes-Benz, Southern California Edison, Home Shopping Network, and Avery Dennison. The city is also home to numerous small manufacturers of building materials and other locally-used products, and many small auto dealerships and salvage yards. 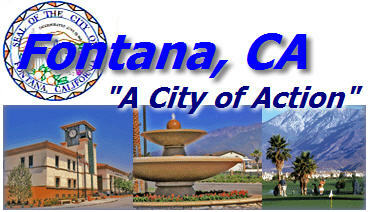 Fontana's economy has also heavily encouraged, at least until such activities had been somewhat hampered by the Subprime mortgage crisis, the planning, developing and construction of new housing tracts. Possibly the city's largest economic engine, however, is the Auto Club Speedway. Although technically not within the city limits, the speedway brings tens of thousands of racing fans and dozens of teams to the region for a few days each year, which can be a major boon for local restaurants, motels, hotels, and auto service stations.